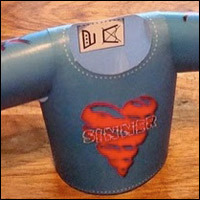 Check out the custom T-shirt design by Sinner complete with downloadable templates. Nice works Sinner! Anyone else got designs to share? ← This should be easy.